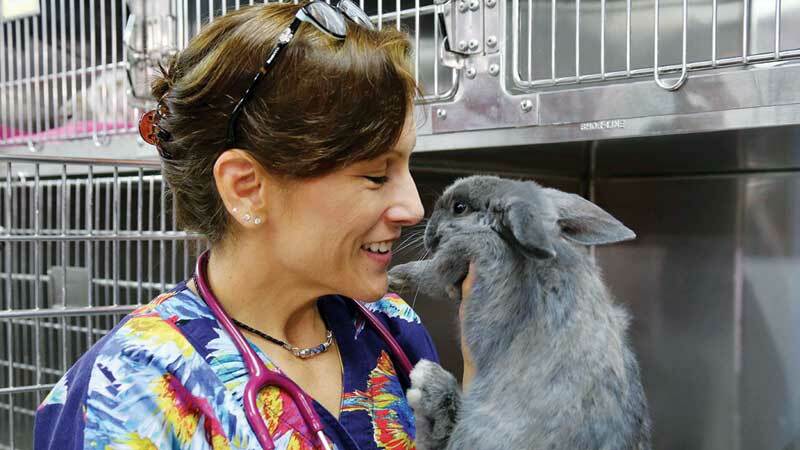 Whether they run, fly, crawl, or slither into Broward Avian and Exotic Animal Hospital in Deerfield Beach, Fla., clinic owner Susan Kelleher, DVM, and her team strive to give these species the care they need and deserve, and often perform heroic feats to save their patients and help their families. To share with the wider world her love of these animals, she began filming Dr. K’s Exotic Animal ER, which premiered its fifth season on Nat Geo WILD in March. Share the evolution of this project. Why did you agree to do it? Nat Geo WILD (NGW) wanted to do a veterinary show involving avian and exotic animals and found us on the web. At first I was vehemently against it. My job is already stressful; I couldn’t imagine doing it with cameras on me at all times. But I decided to explore it. NGW interviewed me, my associate veterinarian at the time, and my staff via Skype. They liked us and wanted to pursue the next step—making a sizzler reel for the NGW executives. A production company from England spent two weeks with us and made a 9-minute sizzler reel. The executives didn’t like it. I breathed a sigh of relief, reflected on how interesting the experience was, and moved on with my life. A few weeks later I got a call from Guy Nickerson, owner of Spectrum Productions in Tampa. He said he’d never heard of this happening before, but NGW wanted to give it another shot. They liked us and the stories they saw unfolding at my practice; they just didn’t like the sizzler. Spectrum produced a new sizzler the executives loved, and we’re still filming four years later. I agreed to do it because I really wanted people to see the standard of care that the animal species I hold near and dear need and deserve, and what is available to them. It’s very encouraging when I hear from colleagues around the country that clients have brought patients to them because of something they saw or learned on my show. What is your goal of each episode? What do you hope viewers get from watching the show? My No. 1 goal is to not lose any patients! Many avian and exotic patients hide their symptoms of illness very well. They often come in the door in the 11th hour, so to speak. My other goals are to represent my profession well and show people the standard of care that they should seek and expect. Is interest in exotic pets waning or growing? What about in exotic veterinary medicine? Interest in exotic pets is exploding! My practice has three full-time doctors—an associate, an intern, and myself. We are busy. I often come home late from work. I have a steady stream of veterinary students from all over the U.S. rotating through my practice for anywhere from two to six weeks. When I talk with the students on Day 1 about their goals and expectations, they say they want to do small animal and be able to do some work with avian and exotics, but it is a rare student who wants to do avian and exotic companion animals exclusively. Student after student has told me they are counselled at school that there is no way they can make a living doing avian and exotic animals exclusively. Clients come to me from all over South Florida—even from as far away as Georgia and Texas. Avian and exotic pet owners are deeply committed to their pets and want advanced care. I have trained clients over the past 20-plus years about the importance of wellness exams. They expect it. Most of the species I see don’t get regular vaccines. They visit routinely for a physical and bloodwork as indicated by age and species. Many even allow routine annual radiographs as indicated, i.e., some of my rabbit patients with dental disease and many bird patients. I’m disappointed by what vet schools are telling students. I know many, many colleagues who see avian and exotic patients exclusively and we’re doing well. What do your colleagues say about the show? When it was about to air for the first time I had crazy waves of panic. I have no say in editing, which cases make it into the show, or anything. I was going to be seeing it for the first time right along with viewers—including my colleagues. It was a huge relief when a lot of positive feedback started pouring in. I cried with relief when several colleagues even thanked me for how I represent the profession. We all have different ways of handling cases. That’s where the “art” of veterinary medicine comes in, and that’s why we call it “practicing” medicine. I was terrified that I’d be criticized. I’ve relaxed over the last few years as the show has evolved. I’m so grateful for this opportunity to show the world what we do. What has been your most harrowing/unusual case to date? I was working on a fox squirrel that the owner brought to me from Dallas. The squirrel had pseudo-odontomas, a condition where the roots of the incisors become very bulbous. Rodents are obligate nasal breathers, so when these roots get so big, they compromise the nasal passageway and make breathing very difficult. This case was pretty bad. I usually can get both upper incisors of a prairie dog with this condition out within 20 to 30 minutes. It took me more than one hour to get both of the upper incisors out of this squirrel. I’m kind of sweating it every step of the way on a case like this when there isn’t a film crew zooming in on me. It’s always a “thing” to get them intubated. Fortunately, that went well in this case. Then there are the extractions. You have to be patient so that you don’t break the tooth under the gumline. Even in the best of circumstances, this surgery has a really rough recovery. There’s a lot of post-op swelling, and they certainly don’t want to eat post-op. Then there’s the additional pressure that the owner drove all the way here from Texas seeking my care. Fortunately, Sophie turned a corner and is doing well. 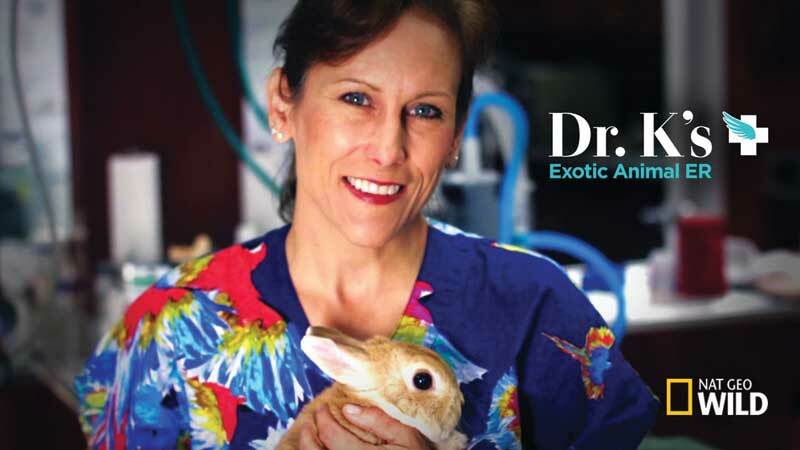 Watch Dr. K’s Exotic Animal ER Sundays at 8/9c on Nat Geo WILD or at on.natgeo.com/10ibUKx.